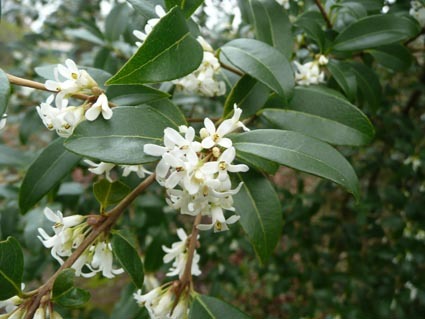 Osmanthus x burkwoodii is an attractive slow-growing shrub, eventually reaching 3 to 4m in height. 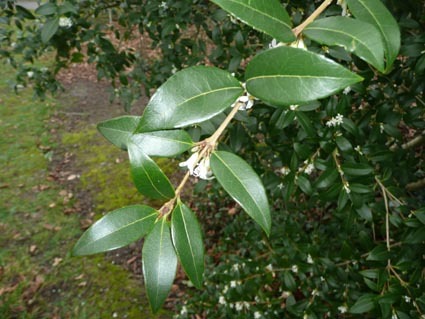 It has glossy leaves and very sweetly-scented white flowers in spring. O. x burkwoodii is a hybrid between the Chinese O. delavayi and the Turkish O. decorus. 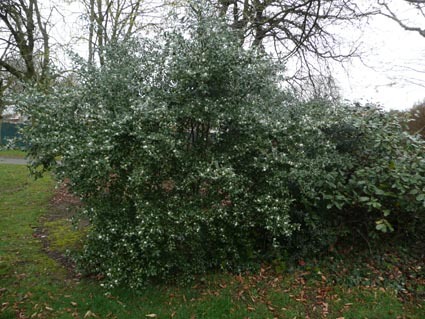 It was raised in England in about 1930 by Burkwood and Skipwith. It received an Award of Garden Merit from the RHS in 1984. 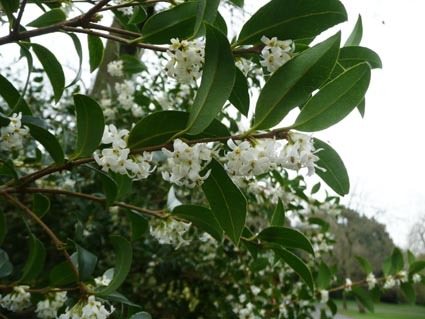 It was originally thought be be a bi-generic hybrid and given the name x Osmarea burkwoodii because its parent O. decora was in the genus Phillyrea (making it a hybrid between the two genera).